Dance Ireland announces an open call for submissions for a new presentation initiative, Friday New Works Series. In recognition of the increasing desire from dance artists to present and perform, Friday New Works Series will offer a platform and will showcase some of the dance/performance work currently being made by members today. This is an opportunity to present dance performances in a light-touch, low-tech studio context as part of curated mixed-bill programme in DanceHouse. 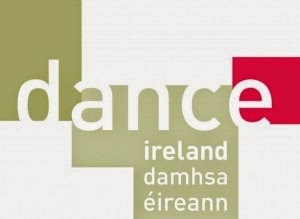 Dance Ireland is seeking applications from members for short works (max 10 minutes) for consideration for the first showcase of the series on Friday 13 June 2014. While we are seeking submissions that are thematically broad and aim to be as inclusive as possible; it is our intention to curate a mixed-bill that is representative of current practice and of the very highest standards. To kick start the series, we will focus on solo practice for Friday 13 June, and subsequently for Friday 26 September duets, for Friday 12 December trios and for Friday 20 March the focus will be on quartets/group pieces. In addition to offering a performance opportunity for dance artists to present themselves to their peers, national programmers and audiences, Friday New Works Series will also provide a networking opportunity after each performance. Please note, while we will provide technical support; there are no rehearsal or production costs covered. Successful applicants are responsible for the presentation of their work. Selection will be based on suitability of the work and feasibility within the studio context of Friday New Works Series. Submit a one-page outline of the work to be shown (please include title, list of participants/collaborators and short summary), accompanied by an online link (YouTube/Vimeo) to the piece. CVs or supporting documentation are not required. The one-page proposal with online link to the work should be sent by email to judith.cooper@danceireland.ie; to arrive no later than 12noon on Friday 16 May 2014. Late applications will not be accepted. All applications will be acknowledged by email. Invitations to participate in this showcase opportunity, will be issued as soon as possible following the closing date.